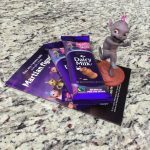 Cadbury Dairy Milk have launched yet another exciting campaign… SA’s first Joy Generator (I will explain what it is in a moment). 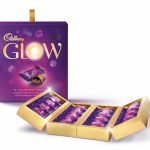 Which I am so excited about as it combines 2 of my favourite things Chocolate & Happiness! 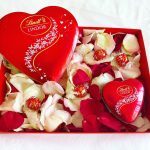 I just love chocolate and who doesn’t need to generate a little joy in their lives. It’s a match made in heaven! What is a Joy Generator? 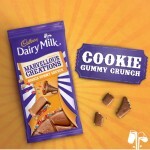 It is a vending machine style activation that matches us, chocolate fans, with our perfect Cadbury Dairy Milk flavour. 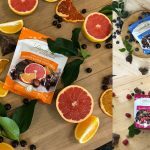 Then, after using & discovering your flavour match, you are able to use the Joy Generator to share this experience & your flavour with your friends on social media. How awesome is that! Where do you find the Joy Generator? Discover which Flavour you Favour, by attending any or all of the Cadbury Dairy Milk activations, which are taking place around the country. I am making your life a little easier, so you can schedule your mall visits around the Joy Generator, by listing the malls & dates when the Joy Generator will be visiting. So be sure to get down to your closest or favourite mall for a true joyful Cadbury Dairy Milk experience! 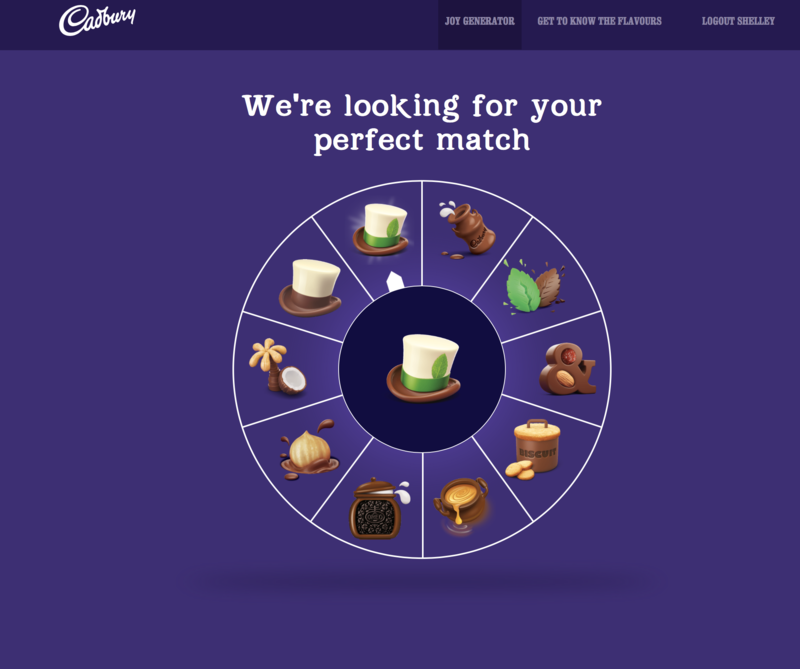 However, if you are no where near an activation or for some reason can’t attend, you can simply visit www.cadbury.co.za/flavourfavour to find your perfect chocolate match online. As you can see below, I visited the website and did mine…which is so spot on! 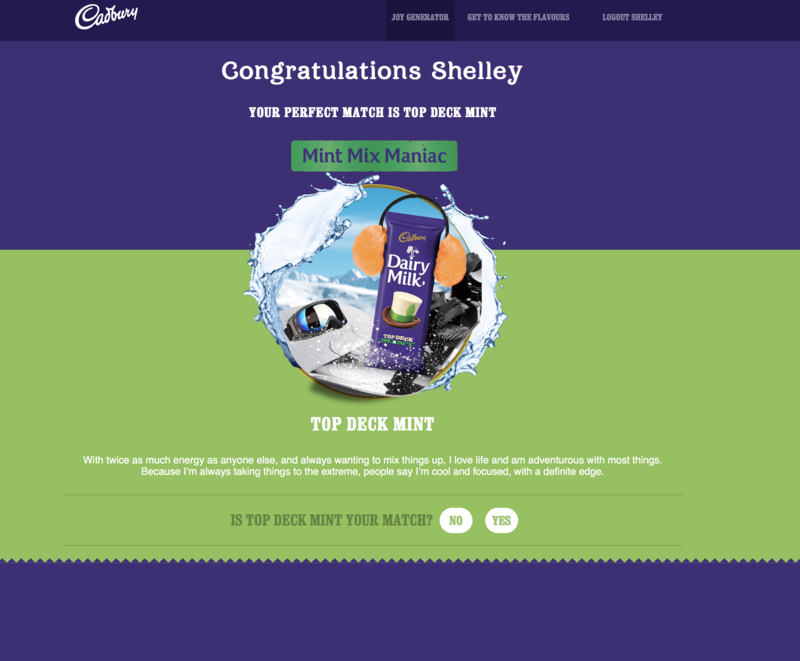 Top Deck Mint is probably my favourite Cadbury Dairy Milk flavour and the description is pretty true too! It’s such fun, and if you don’t agree with the match, you can speed date other variants to discover other delicious flavour matches, such as Notably Nutty, Madly Minty and so many more! Tags:Cadbury Dairy Milk chocolate What's your flavour? Cadbury Dairy Milk it’s the greatest in all the years and the taste improving every year mmm!!! 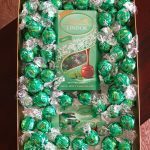 Yummy can’t end a day without few slaps of Wholenut/ top mint….